When a massive demon erupts from the forest and rampages through a rural village, the town’s elders send their last prince, Ashitaka, west to investigate the cause of the outburst. Ashitaka discovers a bustling industrial town, Irontown, whose inhabitants are clearing out large swaths of surrounding forest to fuel their monstrous forges. The blind industrial encroachment sends a plague through the forest, putrefying everything it touches and endangering the life of the ancient Great Forest Spirit. Enraged by such carelessness, the animal Gods of the forest lead an army of wolves and boars to besiege Irontown. 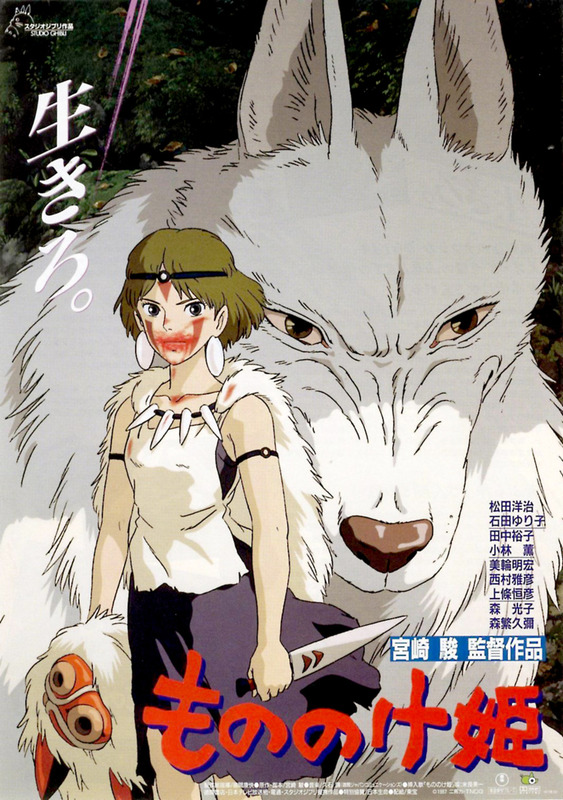 During one of their attacks, Ashitaka catches a glimpse of a human girl, San, riding atop a large white wolf. When he discovers a government plot to kill the Great Forest Spirit, the young prince joins with this princess of the forest to help stop the conflict before the spreading darkness can snuff out all life in region.